The Catnapper Loredo is a beloved camo recliner. 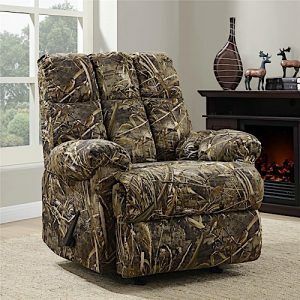 A camo recliner is a great addition to homes of hunters and outdoor enthusiasts. Thankfully, there are several good options to choose from in the niche. 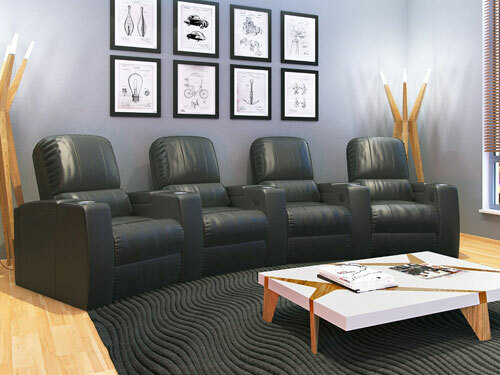 Below we’ve compiled a list of some of the best camo recliners we found online for comparison. 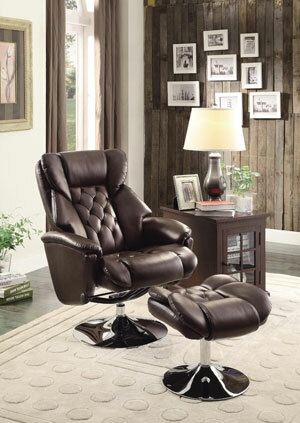 In the list below you will find large chairs, chairs with heat and massage capacity, and a recliner-ottoman set. We hope our list will make it easier for you to narrow in on the best camouflage recliner for your household. Now that you have an idea of the camo recliner chairs available we’ll go into some details of the crowd-favorites. 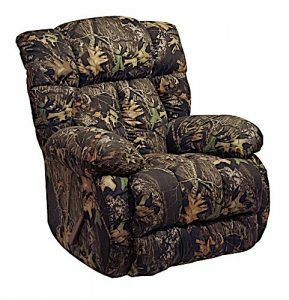 The Catnapper Loredo Mossy Oak Camouflage Chaise Rocker Recliner is a large chair best suited for big folks. It has a steel seat box and is tested to support a weight up to 250 pounds. It measures 41 inches wide by 41 inches deep by 44 inches high. The seat measures 19 inches by 20 inches and the seat back is around 21 inches tall. Despite the chair’s relatively large size, it does not require a ton of space to recline thanks to its wall-hugger design. The chair can fully recline when positioned only a few inches away from a wall. 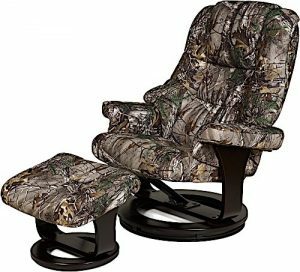 This camo recliner has a manual recline mechanism that is smooth and quiet. People who purchased this chair report that it is plushly padded and extremely comfortable. 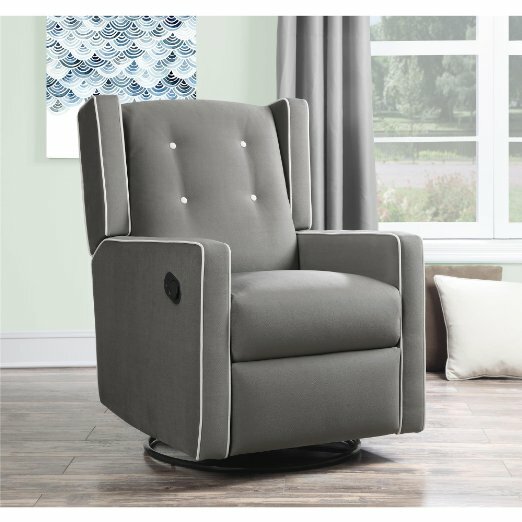 The Dorel Living Real Tree Camouflaged Rocker Recliner is a plushy padded manual recliner. It reclines fully. It measures 36.5 inches wide by 37 deep by 39 inches tall, with a seat back height of 19 inches. It is slightly smaller than the Catnapper camo recliner mentioned above, and therefore not the best option for tall or large people that we found. People who purchased this chair report that the upholstery is very soft and the chair is comfortable to relax in. Common complaints center around the chair being too small, and some people have had trouble with the chair holding up over time. 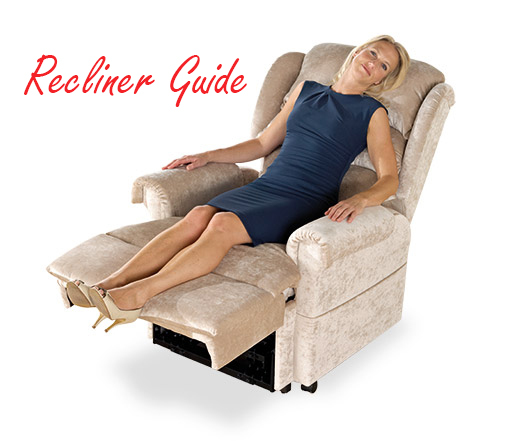 The Relaxzen 8 Motor Massage Recliner with Heat and Ottoman provides an alternative to a bulky camo recliner. The chair measures 32.3 inches wide by 35 inches deep by 40.6 inches high, and can swivel. With this set you can lean back substantially, but it does not offer the ability to fully recline. On the other hand, this chair does offer massage features. It has 8 massage motors and a remote to let you choose from 6 intensity levels and 9 different massage modes. The massage mechanisms work through vibrations, not rollers. This chair also has a heat setting that targets the lumbar region. People who purchased this chair report that it is comfortable, the massage settings are effective, and offers good support. Some drawbacks include the fact that it cannot fully recline and the massage mechanisms don’t knead muscles.